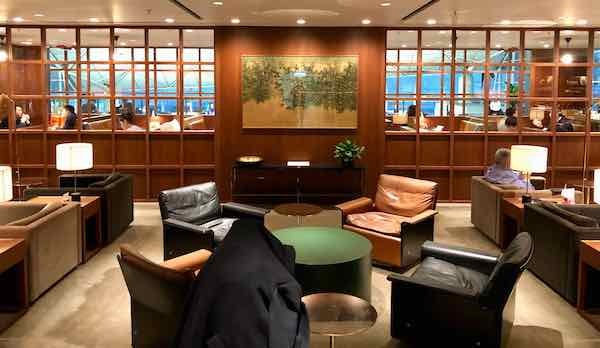 In January 2018, I had the pleasure of visiting all four Cathay Pacific Business Class lounges in Hong Kong’s airport. 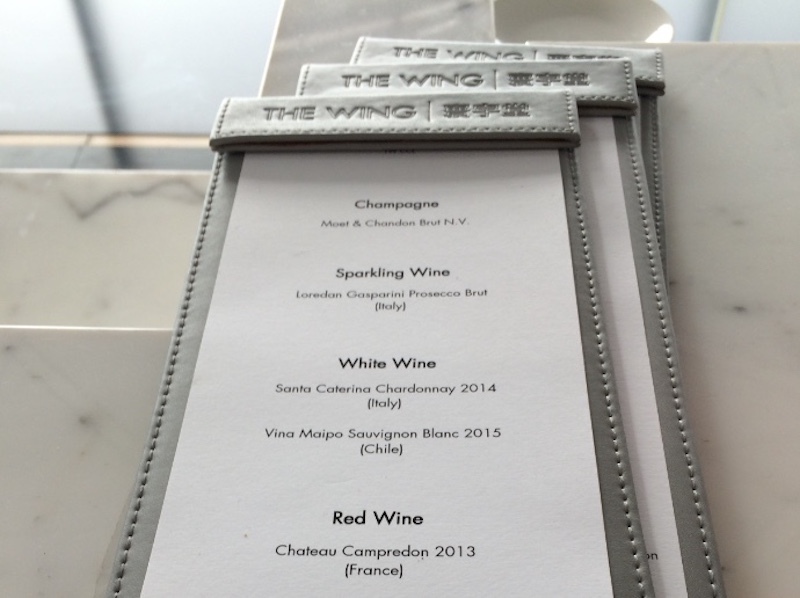 The Wing is accessible by Business Class passengers on Cathay Pacific, Cathay Dragon and oneworld airlines, as well as Qantas Gold (oneworld Sapphire) and above status holders travelling in Economy Class. 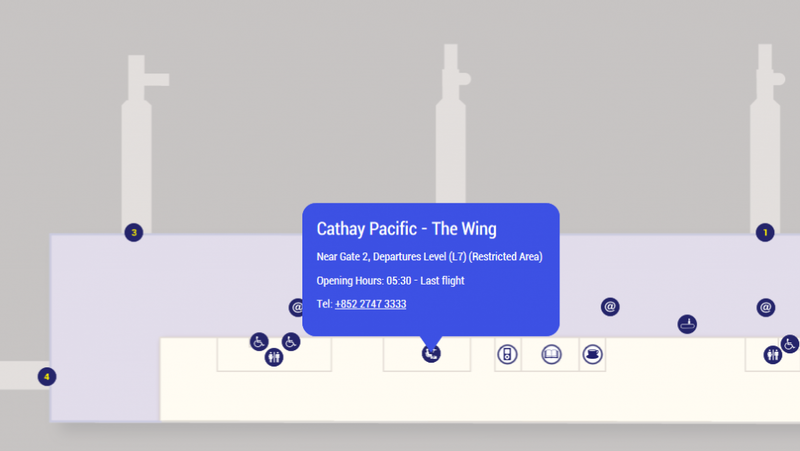 Airpoints Gold and Elite members, plus one guest, can also access the lounge when departing on a booking with an NZ flight number to New Zealand, including NZ4992, NZ4994 or NZ4998 operated by Cathay Pacific, and when connecting to or from Cathay Pacific/Cathay Dragon flights from Beijing or Shanghai. 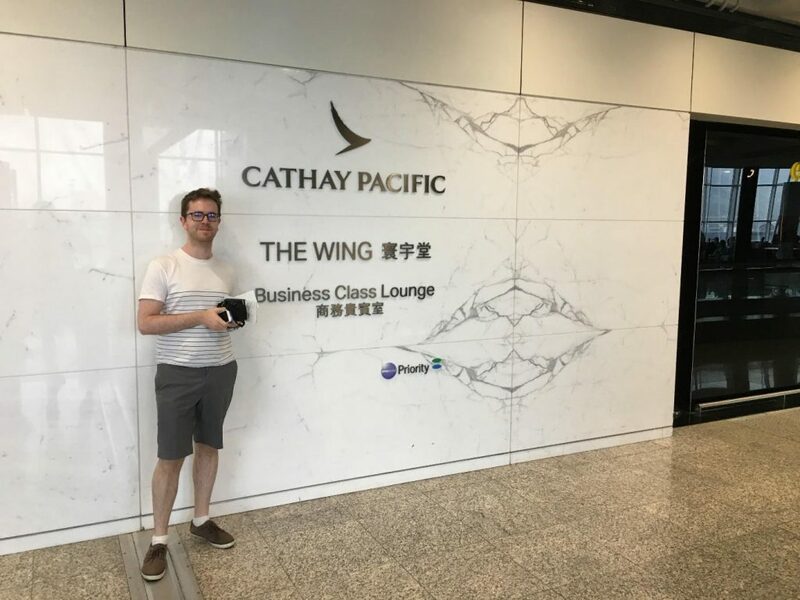 My family and I were travelling in Business Class on Cathay Pacific to Auckland, which we had booked one-way for 30,000 Alaska Mileage Plan miles each + taxes. 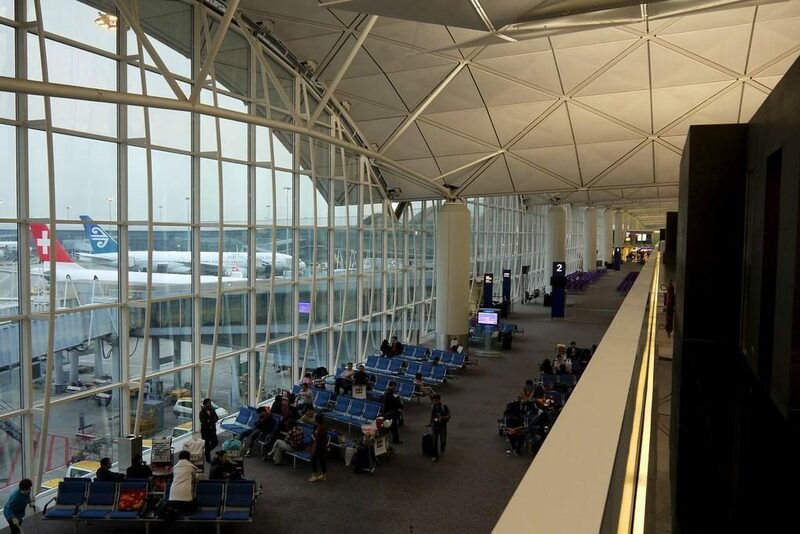 Hong Kong’s Terminal 1 is a huge space! 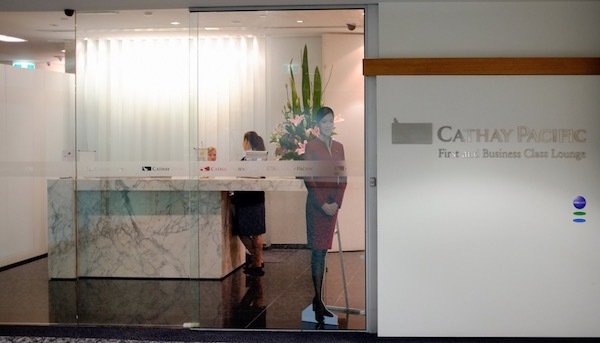 Out of the four Cathay lounges, this one is the closest to immigration. Once through passport control, simply follow the signs to Gates 1 to 4. 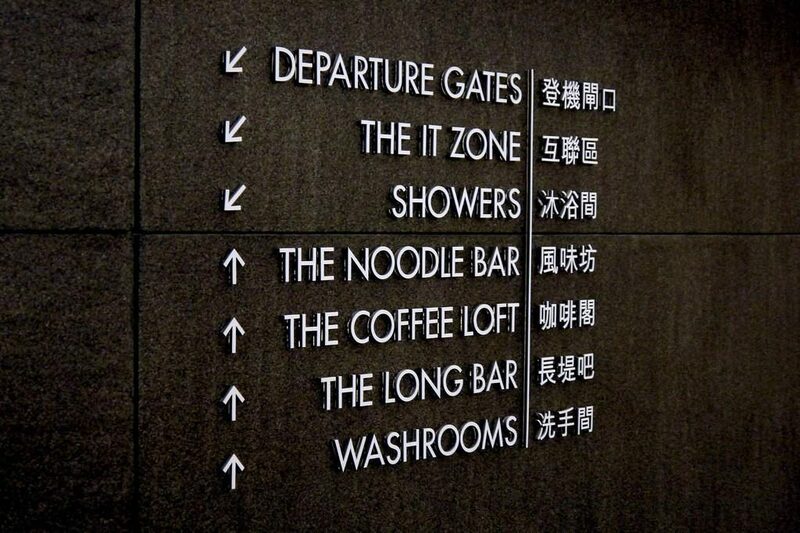 The lounge is located on your left nearby the gate area. If you are in transit and land at one of the gates located at the far west end of the terminal, you can speed up your trip to the lounge by taking the intra-terminal train – however if your connecting flight is in the same gate area, we highly recommend you save yourself the trip and head to The Pier instead. 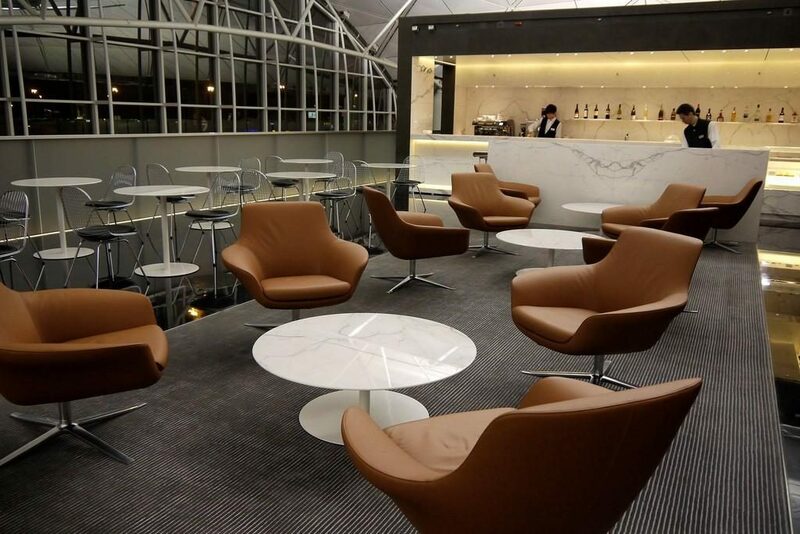 The lounge is open from 5:30am until the last departure daily. The Wing main reception is located opposite Gate 3. 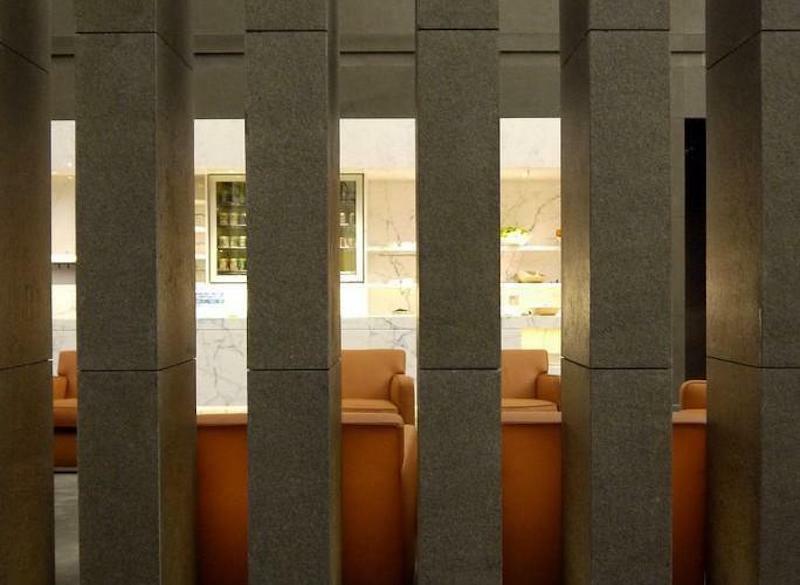 The lounge is split across two levels. 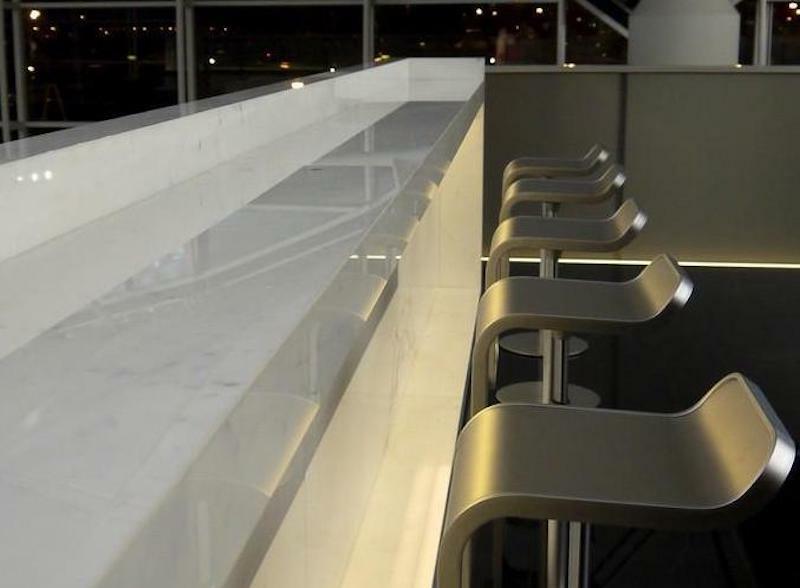 After heading up one floor in the lift or via the stairs, you arrive at a secondary reception desk. This is the entrance to the larger part of the lounge, which includes the bar and main dining hall. Feeling a bit disoriented? 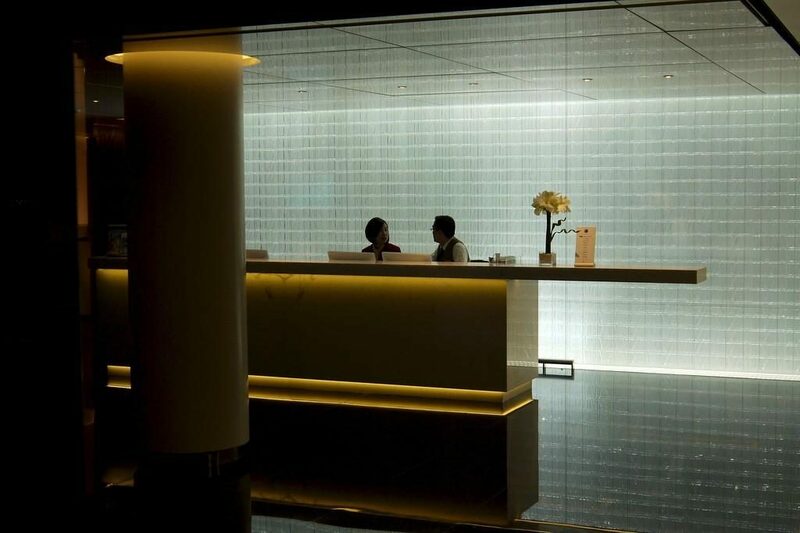 The clear wall signage will help you find your way. 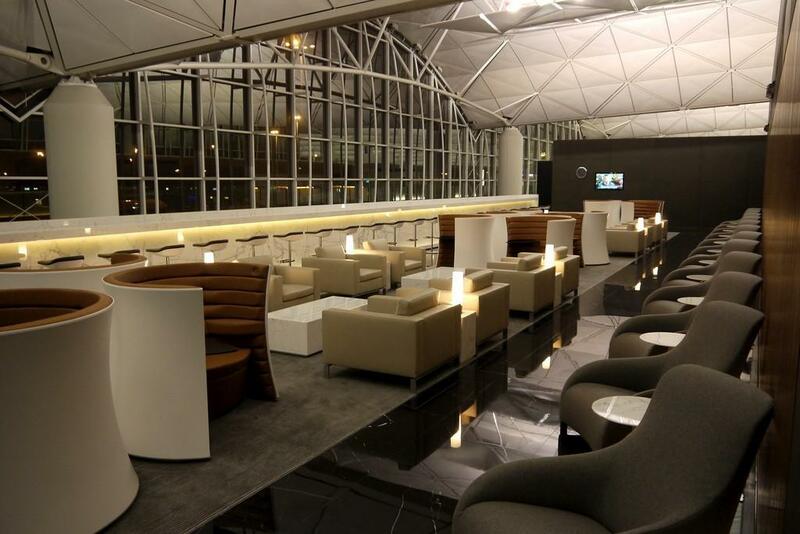 The Cathay lounges all have skilled baristas who can make a variety of coffee drinks. I personally enjoy their iced lattes, which always hit the spot after a day in the Hong Kong humidity. If this sounds refreshing, then the Coffee Loft is a good place to visit. The signature leather armchairs being both stylish and comfortable. 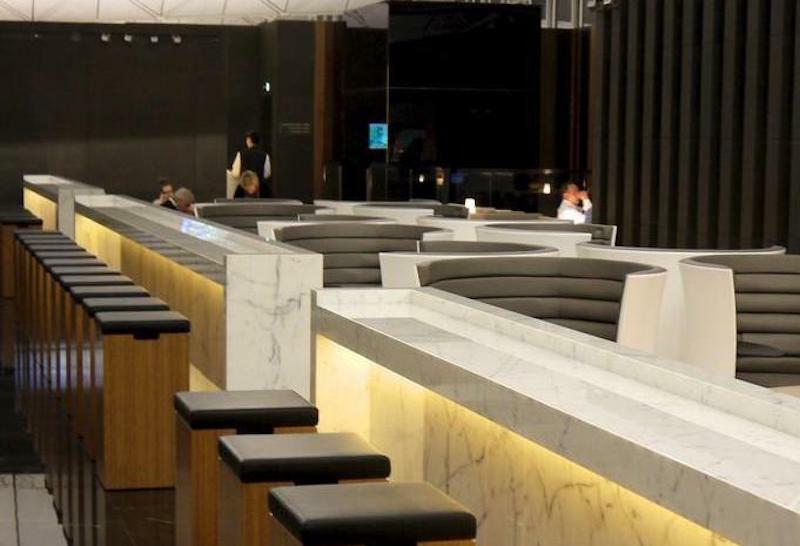 You can enjoy your hot or cold drink while sitting at a bar stool, overlooking the gate area below. A selection of sandwiches, pies and cookies are also on offer. The Noodle Bar is a good next port of call. 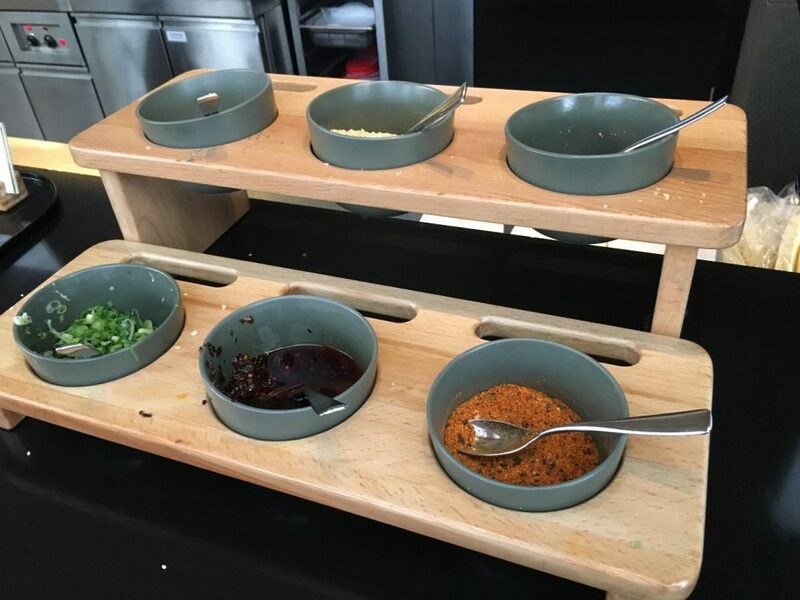 Here you can order from a variety of Asian dishes off a set menu – they are cooked to order, and you are given a buzzer to notify you when to collect. Along with dan dan noodles, you also have char siu buns, dumplings and other regional specialties. 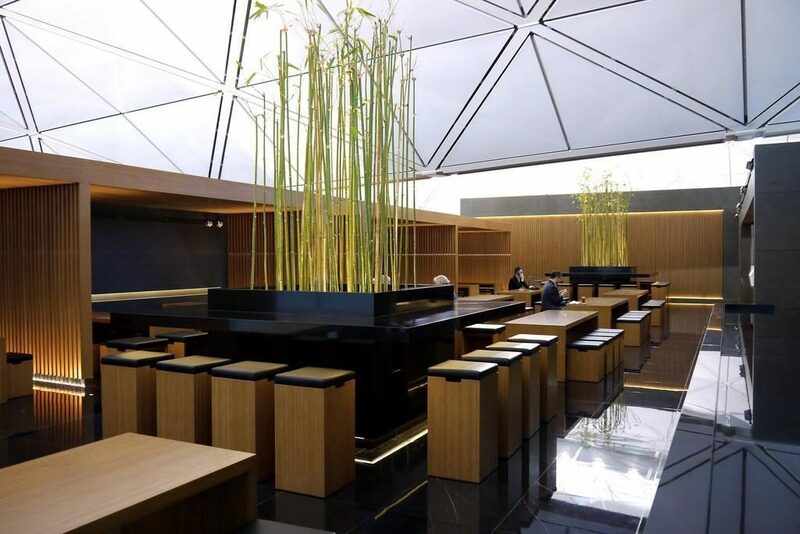 The dining area has what feels like a simplistic, Japanese-inspired design, with stylish bamboo rising up towards the terminal ceiling. I ordered the dan dan noodles, in addition to a few self-serve pork buns. Be sure to add all your favourite condiments! A range of other hot and cold food items are available, along with self-serve drinks. 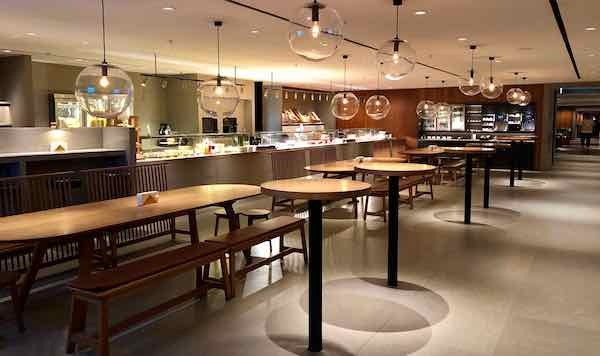 The other areas upstairs consist of a large amount of seating, a bar and more self-service food options – both Western and Asian. 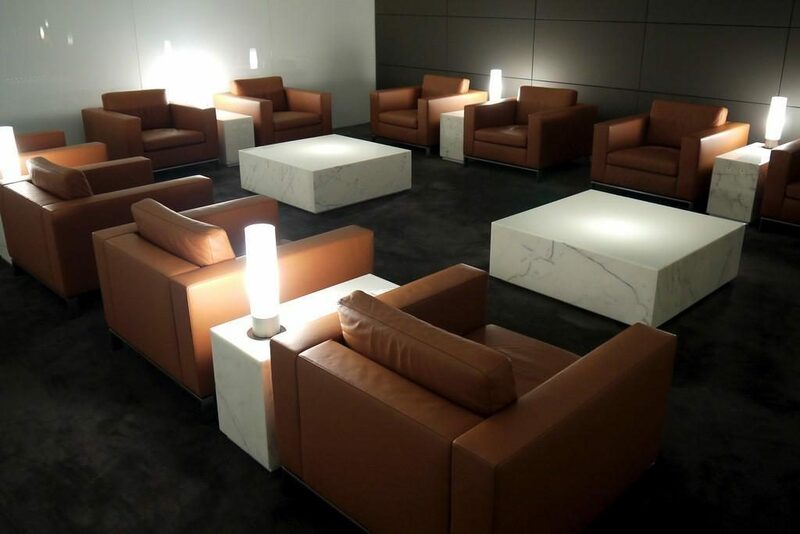 Large amounts of white marble, wood, dark stone (I assume granite) and leather make it feel pretty special. 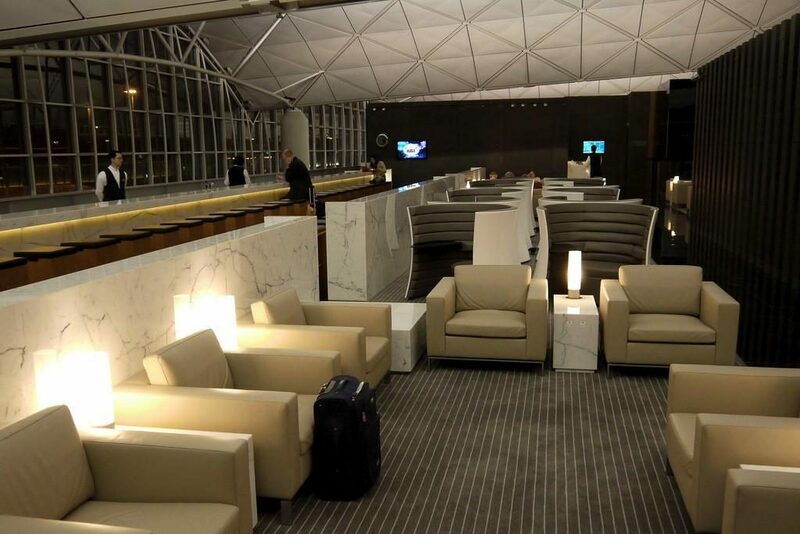 The Wing is also full of many ‘Solus’ chairs, a Cathay Pacific design that is aimed specifically at the solo traveller’s needs, with a small table, power outlet and a design that keeps you mostly enclosed from prying eyes. Feel like being productive, or taking a relaxing shower? 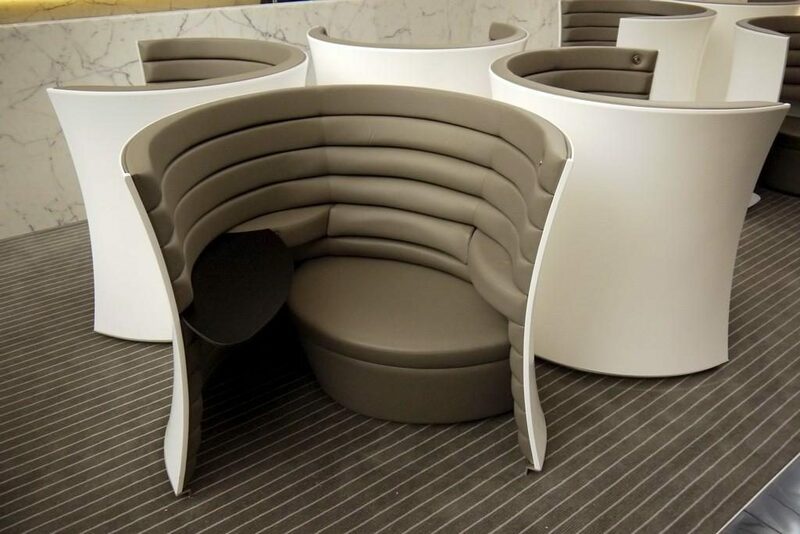 Then it is time to head downstairs, which is the area of the lounge that offers a spacious set of workstations in a quiet room called the IT Zone, the bathrooms and showers, further seating, and another set of self-serve food options, similar to upstairs. A total of 23 shower rooms are available, each equipped with Australian-made Jurlique bath products, and clean towels. Even in peak times, you never feel like you need to wait for long, and the attendants keep the showers looking spotless. There is no children’s area in the lounge. 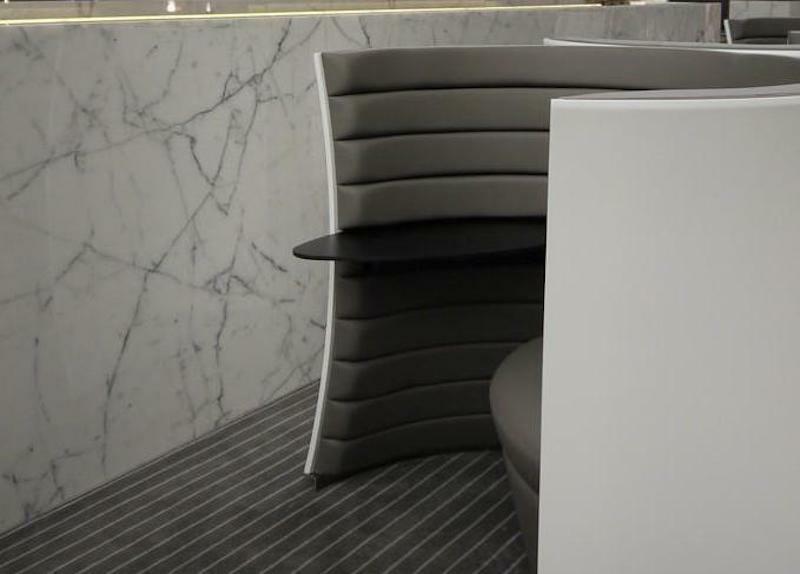 All power outlets in the lounge are UK style, but you can borrow an adaptor from the front desk if needed. The USB ports make charging mobile devices easy. 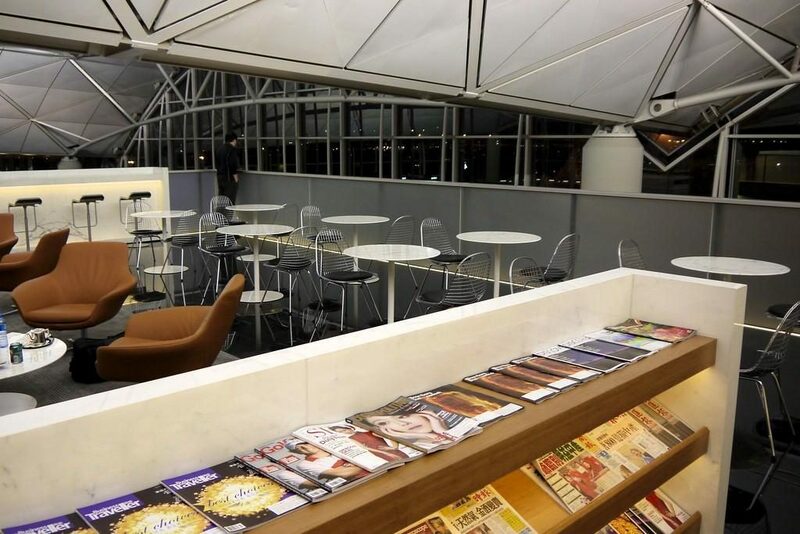 There is a lot of reading material available, on both levels of the lounge. The Wi-Fi was very acceptable, clocking speeds of 26/34 Mbps download/upload. 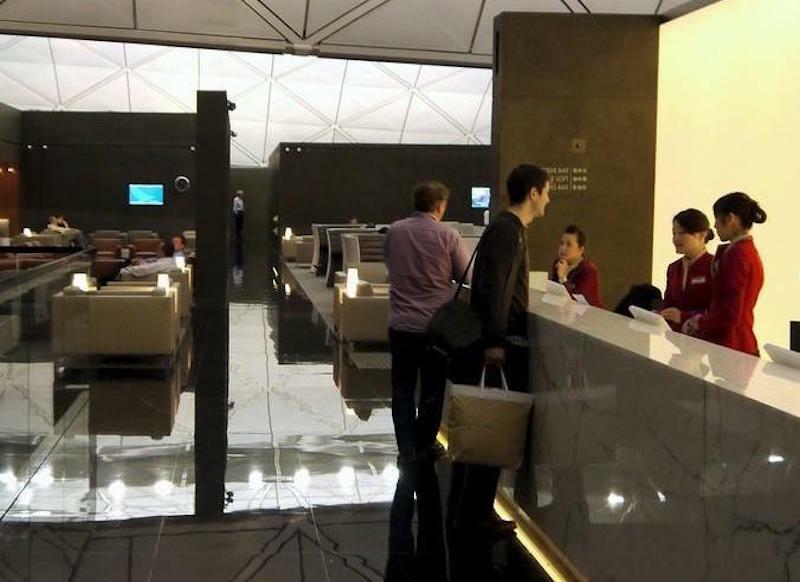 Most of the passengers listed above can guest one other person into the lounge, except for Business Class passengers without status. Cathay Pacific set the bar with The Wing, and used its design ethos for the refurbishment of two of their other lounges in Hong Kong – The Pier and The Deck. 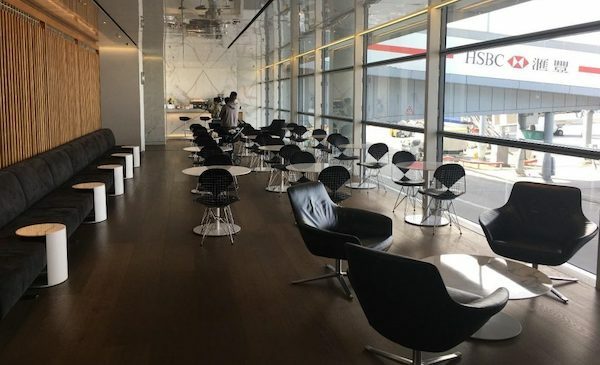 While Matt and I personally find The Pier to be our all-time favourite Business Class lounge, the sheer distance between the two at different ends of the terminal can make it impractical to travel between them, particularly if your flight departs from one of the gates nearby The Wing. 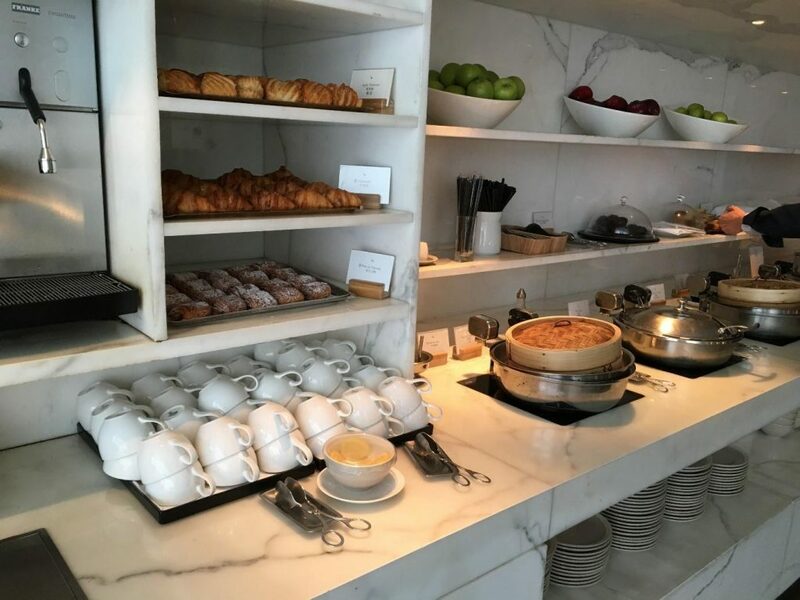 Despite the sheer number of people that use the lounge, the furnishings, fittings, and shower suites here are maintained well and still feel new. 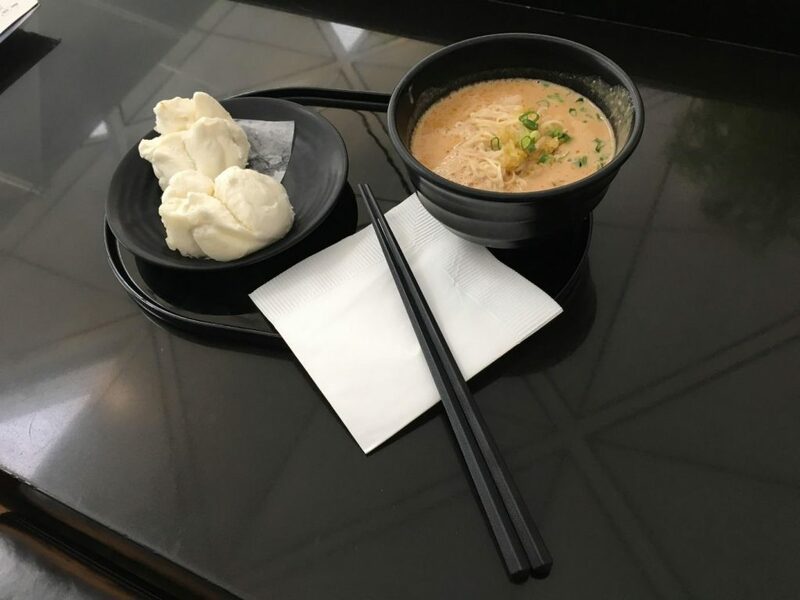 The made-to-order noodle bar in The Wing is a highlight of any visit.